The news broke this morning about the loss of another soul who has left this world having brought great joy to people throughout his life. The singer-songwriter and poet Leonard Cohen passed away peacefully at his home in Los Angeles. He had reached the wonderful age of 82 years. Leonard was born of Lithuanian Jewish ancestry in Quebec Canada on September 21st, 1934. His life achievements in the musical field are too numerous to mention. In our journey through this life, especially with today’s world of travel and internet we hear from people we will never meet in person. They become as familiar as neighbours and friends and become part of our lives in one way or another. When they leave, even having never met us, they leave a hole in our lives. One which is filled only with the memories of the good they brought to our days. One such person is Leonard Cohen. 2015 to 2016 saw many legends leave this world. It was almost as if they were called home for a purpose. We who are left, still have their songs and stories which draw is back in time with great speed. Back to a time where all we can remember is the good. This is the gift that people like Leonard Cohen and the other stars leave us with in this world. Their journey here was for a reason; their parting is mourned. But this is the natural path of life which we all must accept. On the 7th Sense Psychic line people dealing with the loss of a loved one is quite a regular event. Although we don’t do mediumship on the line, our spiritual beliefs do help calm fears. You will notice I never use the word death. This word in my mind means finished, and that’s not what I and others like me believe. When our mortal body stops, all the energy, life and the being that we have grown to be, passes into energy. Just as you passed from water into the air while entering this world, you now pass from air into energy. 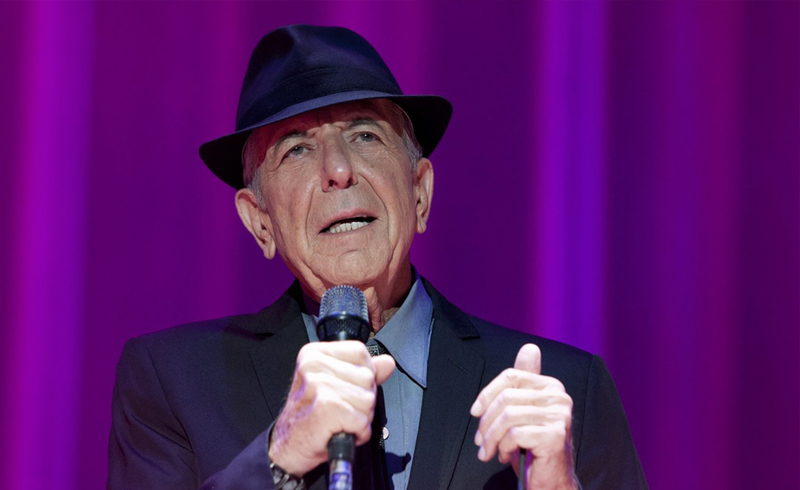 It is comforting for us to know, that people like Leonard Cohen are still making magic on the other side, and one day we will join them to witness it. Rest in peace Leonard Cohen, we will meet in the next realm. Previous ArticleKaty and Orlando – Celebrity Compatibility HoroscopeNext ArticleJessica Alba’s multitasking secrets revealed!